Why Do My Eyes Itch? - Colorado Allergy & Asthma Centers, P.C. 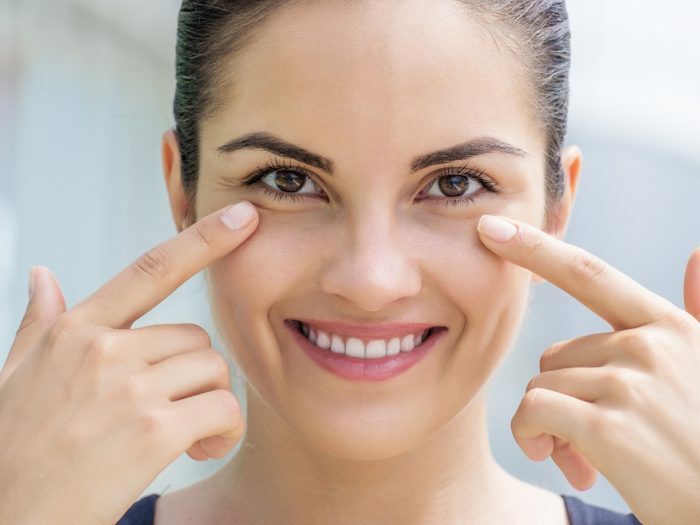 Do you have watery, red, puffy or itchy eyes? You may have allergic conjunctivitis, a very common inflammation of the “conjunctiva” – the clear thin membrane which covers the eyeball and the inner side of the eyelids. Seasonal symptoms can be caused by pollens from trees, grasses and weeds. Year-round allergens include dander, which is found in the animal’s sweat and saliva. When allergens come into contact with your eye, your immune system fights back by releasing histamine and other substances, which cause the eye symptoms. The most common symptoms are eye redness, watering, itching, sensitivity to light, and puffy eyelids. Allergic conjunctivitis occurs more often if you have “hay fever”, asthma, eczema, or other allergic conditions. Identifying your allergens can help prevent symptoms and reduce the need for medication. Allergy skin testing can quickly identify which allergens are triggers, thus allowing you to take measures to minimize your exposure. But remember: Allergies are not the only cause of a “pink eye” – viral or bacterial infections, and other eye or systemic conditions may cause similar symptoms, so seeking medical attention is advised. How can you avoid allergens? 1) Keep car and home windows closed, especially in the high-pollen early morning hours. Use the “recirculating air” button in your car vent system. 2) Frequently change heating and air-conditioning filters. Use HEPA (high-efficiency particulate) air filters, especially in the bedroom, where we spend much of our time. 3) Reduce clutter, which collects allergens. Frequently wash bedding and stuffed toys. 4) Shower, shampoo, and change to fresh clothes after outside play or work. 5) Keep pets out of the bedroom and sleep in clean pajamas: Playing with the pet, then going to bed in the same pajamas is like sleeping in bed with them! Eye allergies can be very uncomfortable, but don’t rub your eyes! Use a soothing moisturizing drop, such as Systane or Refresh. Cool wet compresses help. Other over-the-counter (OTC) or prescription drops, oral antihistamines, and nasal sprays can also relieve symptoms. Many OTC eye drops have a decongestant that “gets the red out”. Examples are Opcon-A and Naphcon-A. They can be very effective cosmetically, but are not the treatment of choice – possible side effects include dilation of your pupils. A topical antihistamine drop containing ketotifen, such as Zaditor or Alaway, is a better choice. Allergy immunotherapy (allergy shots) can be an effective, more definitive way to treat allergies instead of symptomatic medications alone. Your allergist can talk about ways to avoid eye allergies and discuss treatment options. ‘Here’s looking at you, kid’ – with clear eyes!